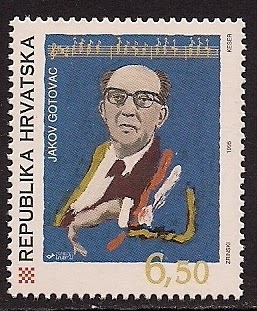 Jakov Gotovac(1895-1982), Croatian composer, studied law and music at Zagrab, then studied music in Vienna, returned to Croatia, was appointed director of the Croatian National Opera in Zagrab, also conducted choir in Sibenik. His music draws much from Croatian folk melody. He composed stage works and orchestral music.